On Friday, May 11, 2018. 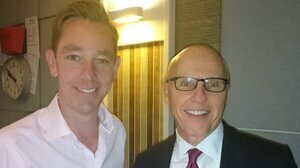 David McCourt was interviewed by Ryan Tubridy on RTÉ Radio One, during which he spoke about his father, his career and his book Total Rethink: Why entrepreneurs should act like revolutionaries. 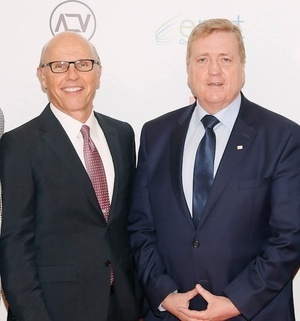 Mr McCourt, who has a house in Newmarket, Co Clare, and also bases himself in Dublin, London and New York, is the founder and chairman of Granahan McCourt Capital. Granahan McCourt Capital is leading a consortium which is the final bidder in the tendering process for the National Broadband Plan contract, the State’s largest ever communications project. Yesterday, the Minister for Communications Denis Naughten resigned after it emerged he had several meetings with Mr McCourt. 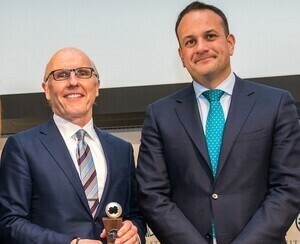 He met Mr McCourt in New York in July and he facilitated a birthday lunch for Mr McCourt and his daughter in Leinster House on April 18, a lunch Mr Naughten didn’t attend. 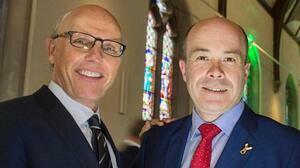 He also met Mr McCourt on June 26. 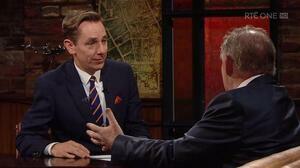 “Mr McCourt’s home is about 10 miles from my home in Co Clare. I have gotten to know Mr McCourt on a personal basis, have visited his Co Clare home several times and met him on other occasions in a private capacity. McCourt: “Well, first of all, the National Broadband Plan that’s, you know, been getting a lot of flak, is because it’s taking so long. But you gotta remember Ryan this is a very audacious, aggressive programme that the Government has put forward. And my hat goes off to them for trying to do it. And they will succeed. Every man, woman and child will get wired in this country. It’ll start in September. Meanwhile: What happens when meet you Leo and you’re not a bug-eyed billionaire? Watch here. 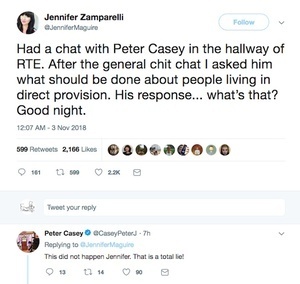 Posted in Misc and tagged Denis Naughten, Frank McCourt, Radio One, RTE, Ryan Tubridy at 4:36 pm on October 12, 2018 by Bodger. The Ryan Tubridy Show has defended its failure to tell listeners that yesterday’s broadcast, which featured an interview with Paddy Power, was sponsored by the bookmaker. 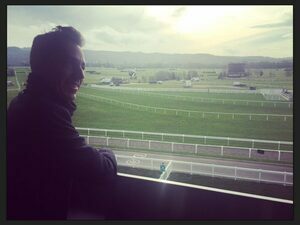 The RTÉ Radio 1 programme was broadcast live from Cheltenham at the expense of the gambling giant. After the 9.30am news Tubridy interviewed Paddy Power but did not say that the company had paid for the production team to travel to and broadcast from the festival. The company last week sponsored a competition on the programme for listeners to win a trip to the event. Posted in Misc and tagged Cheltenham, Paddy Power, Ryan Tubridy at 11:27 am on March 15, 2018 by Bodger. At an unspecified bookstore today. 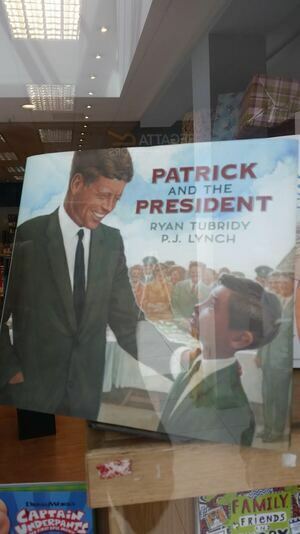 Posted in Literature and tagged JFK, Ryan Tubridy at 4:24 pm on June 16, 2017 by Broadsheet. Wogan: A Legacy on RTÉ One at 9.35pm. Wogan’s death in January this year came as a shock to his millions of fans. The legendary broadcaster, who succumbed to cancer at the age of 77, had kept his illness private. When he was forced to pull out of presenting duties on Children in Need and his BBC Radio 2 programme, the reason given was a bad back. In Wogan: A Legacy, Late Late Show host Ryan Tubridy, who often covered for Wogan on his BBC Radio 2 programme including when Wogan became ill earlier this year, details his final contact with the Limerick man. Other contributors to Wogan: A Legacy include: Mike Murphy, Dermot O’Leary, Henry Kelly, Gloria Hunniford and Fr Brian D’Arcy. 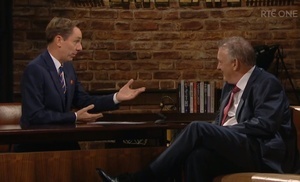 Posted in Misc and tagged Ryan Tubridy, staying in tonight?, Terry Wogan at 12:38 pm on May 23, 2016 by Broadsheet. He’s had it up to ‘here’ with the World Wide Web. August 2011 Closes his twitter account, with 60,000 followers, saying he ‘was spending too much time on it’. September 2012,Tells listeners to his 2FM show that he had contacted Twitter US headquarters to get four parody accounts shut down. “I’d rather read a good book than what some guy in a bedsit watching Star Trek thinks about me. I made a decision to go offline a couple of years ago and it’s the best thing that’s ever happened to me. 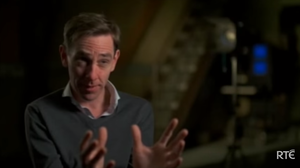 Posted in Misc and tagged online abuse, Ryan Tubridy, Trolls at 4:03 pm on March 14, 2016 by Broadsheet. 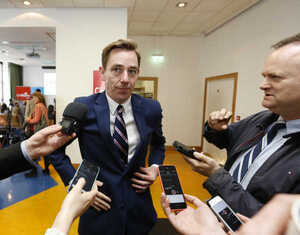 Ryan Tubridy last Friday night. 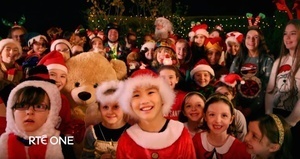 On RTÉ Radio One this morning, Ryan Tubridy interviewed the father of Lara Reddy, age 7, who said his daughter had received abusive messages following her appearance on the Late Late toy show last week. It gave the host the opportunity to give the internet a piece of his mind. 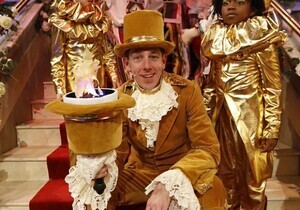 Posted in Misc and tagged online abuse, Ryan Tubridy at 9:10 pm on December 2, 2015 by Broadsheet.